March 2015 – Greaty thinks…………….. 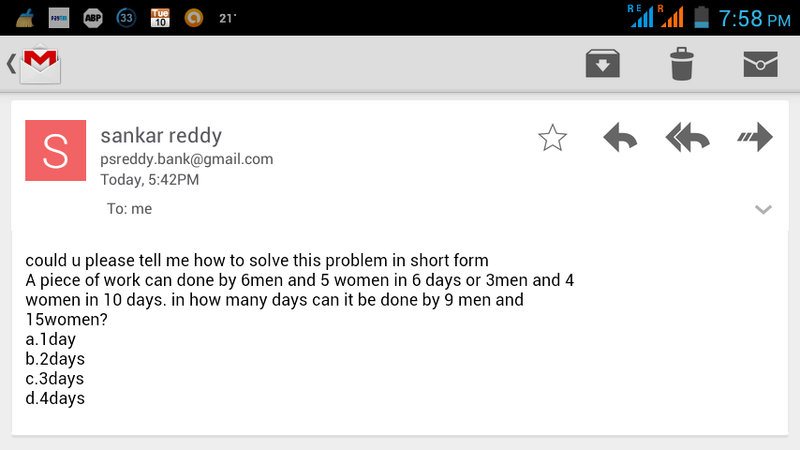 Solution to question asked by “psreddy.bank@gmail.com”. Hence, 9 men and 15 women can do the same piece of work in 3 days, as their combined efficiency is 1/3 work per day.